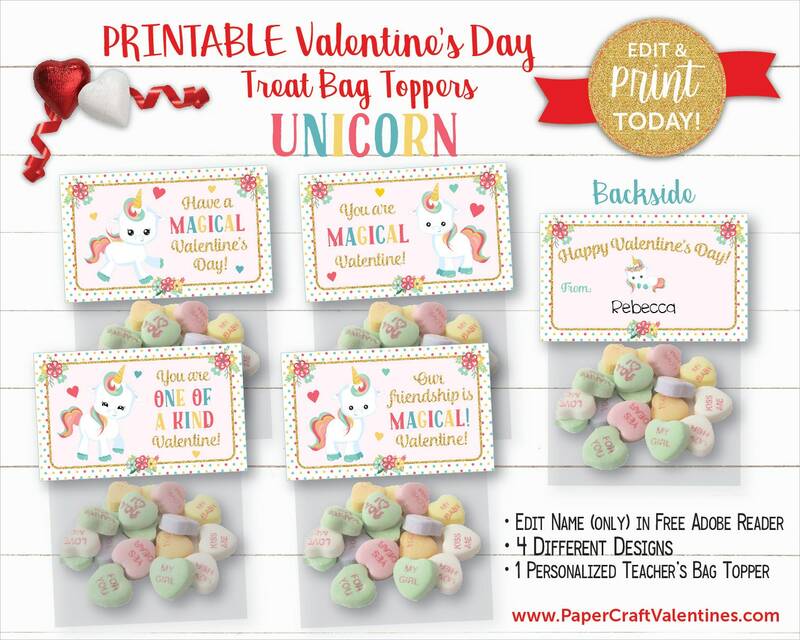 ♥ Printable Unicorn Valentine Treat Bag Toppers ♥ Instant Download! • 4 (3.25" x 2") Treat Bag Toppers for 3" x 4" cello treat bags (found at your local craft store). 4 designs per page - type in child's name or delete and handwrite! [ONLY THE NAME IS EDITABLE].